Remember the good old days when marketing had a clear definition? It was simple. Marketing meant broadcasting a product or service to consumers. Businesses did all the talking, and the company with the largest budget usually won. It could pay for the best advertising firm and buy the most ad spots. Think Don Draper. But now marketing is more complex. Our audience is more knowledgeable and the little guys have a place at the table. And that’s a good thing. Fast-forward to today, and Joe Marketer can now compete with the likes of Sterling Cooper Draper Pryce. In addition to the evolution of the Internet, in recent years this is possible because we figured out a way to cut through the clutter. We stopped talking to prospects and started talking with them. We stopped telling them what they want and started listening to what they want. Then we gave information away for free. And they kept coming back! Enter inbound marketing. Simply put, inbound marketing is a strategy businesses use to pull customers in—to attract them rather than chase them down. Inbound marketing works by creating and delivering content that a company’s target audience finds valuable. Provided in the form of everything from blog posts to white papers to videos, inbound marketing connects with prospects and shares information that’s important to them. It demonstrates thought leadership, creates brand awareness, and builds trust and loyalty. Far from it. Outbound marketing is still essential. As our marketing strategies have evolved, we haven’t just replaced outbound with inbound. In fact, 98 percent of Top Performers who report regularly using inbound marketing also say they actively leverage outbound tactics at the same time. These tactics include print ads, online ads, email campaigns, direct mail, billboards, cold calls, and the many other types of traditional marketing. Rather than focusing on one or the other, it’s better to think of marketing as being unbound. The most effective marketing strategies integrate both inbound and outbound tactics to create comprehensive campaigns that take advantage of the best of both worlds. That being said, if you have to choose one, your marketing dollars are typically better spent on inbound. The cost per lead is far lower (over 54 percent lower than outbound), and if you do it right, inbound marketing will send a steady stream of qualified prospects to your website. Quality content is the engine that makes inbound marketing run. 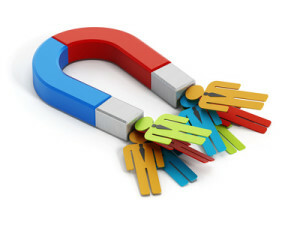 It’s what attracts prospects to your business in the first place, and then keeps moving them along in the buying cycle. According to Top Performers, developing content that maps to a prospect’s unique stage in buying cycle is the number one value driver for maximizing return on investment in inbound marketing. But quality content by itself isn’t enough. Many businesses are producing compelling content that their prospects would gobble up. Unfortunately, if they’re not able to find it, all of the work that goes into creating content can go to waste. To be successful, you also need to have a strategy to share it with the right prospects at the right time. As we shall see, inbound marketing follows a specific process whose end result is satisfied customers. But we can’t overlook the importance of strategy. Sixty-six percent of marketers who consider themselves effective report having developed and implemented an inbound marketing strategy. Buyer personas are simply the individual segments of your target audience. Keep in mind that your prospects don’t all have the same interests and needs. For example, an insurance agency knows that it’s not just selling insurance. It’s selling insurance to car owners, homeowners, business owners, etc. The agency needs to tailor its content so it appeals to each audience. Best practice: Define buyer personas and prioritize which one’s have the highest value to your business. Then focus your inbound marketing efforts on the top two or three of these personas to keep focused and make content production manageable. Identify the terms and phrases your target audience is searching to find the types of products/services you offer. This requires using one of the many available keyword tools, which will help you find the most searched for keyphrases related to your product/service. Choose the best keyphrases for your content by narrowing down your search to ones that aren’t as competitive. Optimizing your content for these phrases is critical to being found by the search engines. Best practice: Revisit your keyword research regularly. Interests, search patterns, and popularity shift over time, so you should reevaluate your research every couple of months. When it comes to content creation, blog posts should be at the center of your inbound marketing strategy. Posting high-quality articles on your blog has many benefits. You can establish yourself as a thought leader in your industry—someone people know they need to follow if they want to stay up on best practices. Blog posts should educate your target audience, solve a problem, and above all position your business as a trusted resource of valuable information. Best practice: The most effective blogs share several common attributes: they’re updated frequently with quality content that is optimized for a company’s target audience. Consistency is key, but quantity never trumps quality. It’s always better to write and post one stellar article per week rather than post subpar content every day. Poor content inevitably damages your reputation with both your prospects and the search engines. After your blog, social media is the most important tool in your inbound marketing toolbox. Whether it’s LinkedIn, Google+, Facebook, Twitter, YouTube, or any other platform, promote your articles everywhere your target audience spends its time. When it comes to social media, promotion doesn’t mean selling. You want to engage your prospects and share content that creates value for them. Best practice: Approach your prospects on social media channels as if you’re having a conversation. They may be interested in your product/service, but they’re probably not ready to buy from you yet. Regularly share other people’s content in addition to your own to show you’re not only interested in their pocketbook. Remember that social media is, after all, social. Pepper your social media posts with entertaining content as well. This shows that you’re not all about business can even put a smile on your prospects’ faces in the process. Sixty-three percent of Top Performers report using more than two channels to promote their inbound content. In order of importance, they are blogs (89 percent), landing pages (88 percent), email newsletters (50 percent), and social media (45 percent). As you investigate which channels will be most effective for your business, put yourself in the position of your prospects and ask how you would prefer to consume your content. Then integrate the channels into a cohesive strategy so that every channel complements another. For example, use newsletters to drive traffic to your blog, and include calls-to-action (CTAs) on your blog to send prospects to landing pages. At this point, your lead generation hinges on your ability to communicate exactly what you want your prospect to do. Whether it’s to download an eBook, subscribe to your newsletter, or gain access to any other type of valuable information, your CTA button or link must clearly tell prospects what they will receive when they click on it. Best practice: Above all, your CTAs need to convey the value of your content. They should answer the number one question every prospect asks: “What’s in it for me?” Try to create a sense of urgency around your offer as well, such as making it time-sensitive or being in short supply. Once prospects click on your CTA, they should be sent to a landing page where they can obtain your content. Their contact information is their currency, and will be passed along to your sales department to follow-up. Best practice: Keep your contact forms short, only asking for the basic data you need to personally connect with them. The last thing you want to do is frustrate visitors by requesting too much information. Remember: they’re still leads, not customers. If you’ve managed to turn strangers into qualified leads, now it’s time to close the deal and make them customers. Although these prospects still may not be ready to buy from you, in this phase you have several tools at your disposal to keep track of them. Most notably, you can use marketing automation to continue to nurture leads through email marketing campaigns. This enables you to methodically stay in contact and send targeted content to your different buyer personas wherever they are in the customer lifecycle. This final phase is so critical to the process that 85 percent of Top Performers who actively pursue inbound strategies report having invested in some form of marketing automation. Ultimately, you want to automate as many interactions as possible, providing prospects with relevant content when and how they want to receive it. Since you will have prospects in your system at every phase of the buying cycle, you also need to use lead scoring to track their sales-readiness. Lead scoring enables you to pinpoint specific behaviors and send targeted content based on their activity and level of engagement. Often overlooked—used by only half of the Top Performers using marketing automation—lead scoring is an essential part of smarter and more profitable inbound marketing. Not surprisingly, most businesses report time and resources as being their main inbound marketing challenges. After all, consistently writing blog posts requires a significant commitment, let alone the execution of a comprehensive inbound strategy. Although every step described above is critical to achieving sustained success with inbound, you can start small and scale your plan as you grow. If you can only handle writing, posting, and sharing one article per week, start there and work your way towards three times a week. Use marketing automation software, an affordable expense for most small businesses, to simplify and better manage your lead nurturing activities. You may also be able to reduce the costs of inbound marketing by outsourcing key functions you can’t perform in-house. Whatever you do, with so much at stake, don’t take a haphazard approach to inbound marketing. The planning process is just as important as execution. Consumers have become much smarter, and the web has made it easier for them to research and buy products and services. Getting them to notice and purchase yours requires implementing a smart inbound strategy. With so many competitors vying for your prospects’ attention, your inbound marketing has to be better than good. It has to be great. Invest the time and resources into creating high-quality content that delights your target audience. Share it with them in the right places at the right times, measure the results, and adjust your strategy accordingly. Above all, be unbound. Discover the best mix of inbound and outbound to give your marketing unlimited potential to achieve success for your business.